A generation knew his powerful voice instantly. It would vibrate the speakers on your hi-fi system as the Radio Luxembourg AM signal phased in and out. Despite the accent, ‘Baby’ Bob Stewart was born in Liverpool. After national service, he became a DJ at the suggestion of Pete Best, the original Beatles drummer. Radio beckoned and he joined the new Radio Caroline in 1965 shortly after its launch, transferring in due course from the South ship to the North. When he was told that his accept might deter audiences, and mindful of the American Top 40 radio influences which the successful pop pirates were adopting as a model, he created the authentic mid-Atlantic accent which was to become his trademark. As the offshore stations closed following the change in the law, Bob moved on, eventually securing work at Radio Luxembourg. At the time, in the absence of the pirates and yet no commercial radio, Luxy was huge. 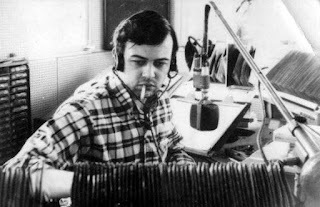 Across night-time Britain - in cars, service stations and cinema car parks, Bob’s voice powered through to the teens and twenties. After 18 years at Luxembourg, Bob moved to Dallas in the late eighties, but his voice was heard again on Radio Luxembourg, and also on Jazz FM, Capital Gold in the '90s and Red Rose. His eventual home was back in Texas. Bob, farewell. For a generation of radio lovers, you meant a lot. When you talked about all those watts of power, we could feel them. How Does the BBC Think It's Doing?